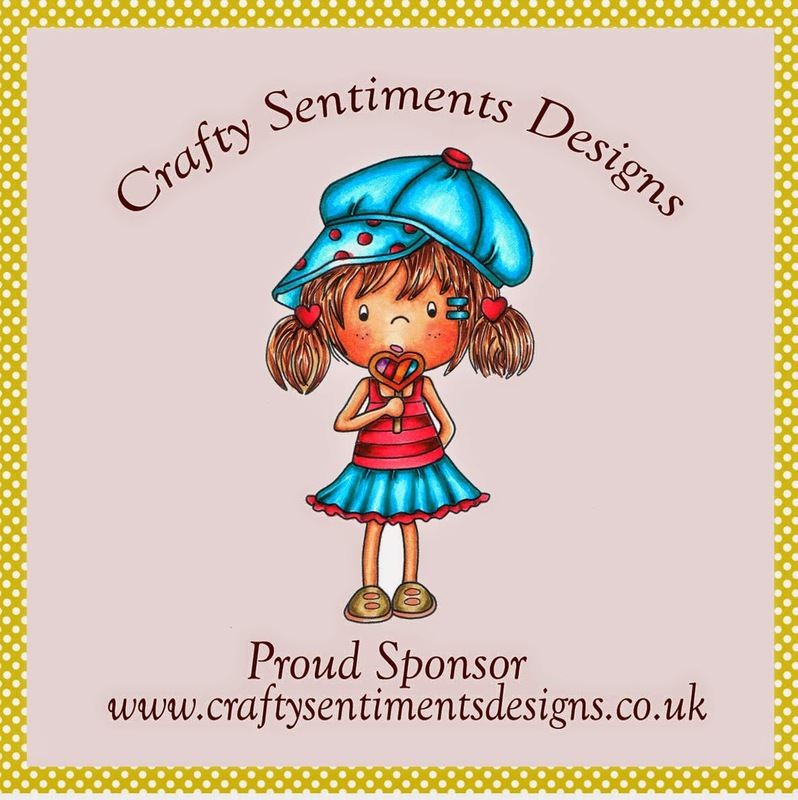 Crafty Sentiments Designs is an online base family company own and run by Suzette. The images are cute fun and make any cards and projects look amazing. Suzette and Justyna are the main artists. All images are exclusive to Crafty Sentiments Designs and there is lots of digital stamps available, sentiments, rubber stamps, crafting CD's, exclusive Crafty Sentiments Designs dies and much more. www.craftysentimentsdesigns.co.uk You can also find us on Facebook, Pinterest and Twitter. ABOUT ME: Hello, my name is Laurie. I'm just a regular Joe crafter. While trying to find digital images that met my own crafting needs, I decided to draw some of my own, as I had so many "weird" ideas that I just couldn’t locate elsewhere. I truly enjoy what I do and enjoy sharing the creativity that God has given me in the hopes it will inspire others to create too. I have a variety of doodling styles and I like to keep a diverse selection at hand. I hope you can find something you like here and I love to see what customers create. MY ILLUSTRATIONS: My goal is to have a shop full of wholesome, family and children friendly images. It’s fun to imagine what little critters might be doing if they were like people, and I hope my images will help encourage the imagination of kids and adults alike. I strive to have images that make us smile, bring back good memories, appeal to the masculinity of men, the femininity of women, and the innocence and happiness of kids of all ages. You will NOT find anything grotesque, disturbing in an evil way, bloody, scary, or scantily clothed people (or animals). Basically, if it looks “adult” rated, I won’t offer it. It is also likely that I will never have any kind of mythical animals or creatures. As always, there may be sentiments that certain people might be able to twist and make them have an alternate adult meaning, but I always intend for an innocent and wholesome message. MY CUSTOMER SERVICE: If you are brand new to using digital images, I am unable to spend one-on-one time getting into every detail. There's just not enough hours in the day to help each person who is new to digital images, on top of everything else a mother and wife has to do. But you are in luck! 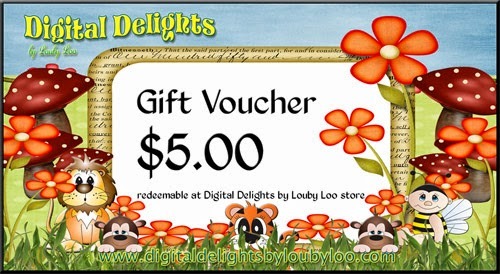 I have a How-To page HERE that could help you get started learning how they work, and you can search the internet for "how to use digi images or digital stamps" and you likely will find a plethora of beginners help articles. Once you feel like you want to try some out, try a few of the totally freebies HERE. No need to spend any money until you are sure you can use them and make them work like you want. I have the very BEST Creative Team ever and each month I am overjoyed to see the beautiful creations they create! 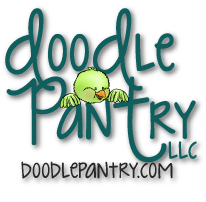 A few of my Creative Team members help me maintain the Doodle Pantry Blog and Challenges. I wouldn't be able to keep everything together without them! I hope you enjoy creating to your hearts content with some of my doodles. But if my images don't suit your personal tastes, I sincerely hope something here inspires you to go create something unique that then puts a smile on another's face. Be sure to join the Fitztown Creative Team on weekly challenges at Fitztown Challenge Blog for prizes and the Facebook page, Crafting with Fitztown, for updates to the store. Sherri A. Baldy is freelance artist who has always specialized in big eye art and dolls. She has been published, licensed and an award winning artist and designer for 20 plus years. Sherri's artistic career started when she was just a little girl and sold her first works of art to her fourth grade teacher. She quickly learned that she could do what she loved for a living. Sherri's art and design career has spanned from creating dolls and home decor products to designing a women's and girl's clothing line in the 90s. One of Sherri's quotes about her life is: " I'm An Ordinary Girl Living An Extraordinary Life!" That is how she feels about being an artist and living the farm girl life she lives... or as Sherri puts it "I color for a living!" when she is asked "What do you do for a living?" She and her family live on a farm in sunny Southern California in the USA. She is a true farm girl at heart and is living her dream on the farm. Urban Farm Diva is where Sherri and her husband live and rescue many animals that are in need of tender loving care and they find them their forever homes. At the farm (Urban Farm Diva Farms.com) you will find The family's three horses, nine dogs and so many barn cats and over 60 chickens... some that lay blue eggs... and 30 fish in the pond! Sweet 7 Digital Designs is my little way of sharing my artwork with the world. I love card making and love using digi stamps. Turning my doodles into stamps was just for fun at first, but then I had the idea to open my shop. Most of my images are based on my kids and the things they do and like. The name Sweet 7 comes from my family too - there are 7 of us and life is sweet. My store is kind of small right now, but I have lots of new images to add to the collection each month.